Browsing for better brows? Ready to take care of pesky hair? You’ve come to the perfect place. Our gentle, yet effective and thorough, waxing method will remove all of your unwanted hair – even the stubborn ones. Allow us to take care of your waxing, brow and tinting needs! NOTE: Due to demand, Cassie is currently not taking new clients at this time. Includes an eyebrow design consultation, waxing, tweezing and application of eyebrow products to enhance your freshly designed brows. You'll be able to head back to work or anywhere else; any redness will be minimal and covered with cosmetics. Sometimes all you need is a simple tint! Tinting gives fullness to the brows and lashes by dying each and every small hair. This gives thickness you never knew you had. We offer both eyebrow and eyelash tinting services and you can expect your tint to last between 3-6 weeks. If you have unwanted hair around your lips, cheeks, chin, sideburns, nostrils, or anywhere else, we specialize in removing it quickly and effectively. 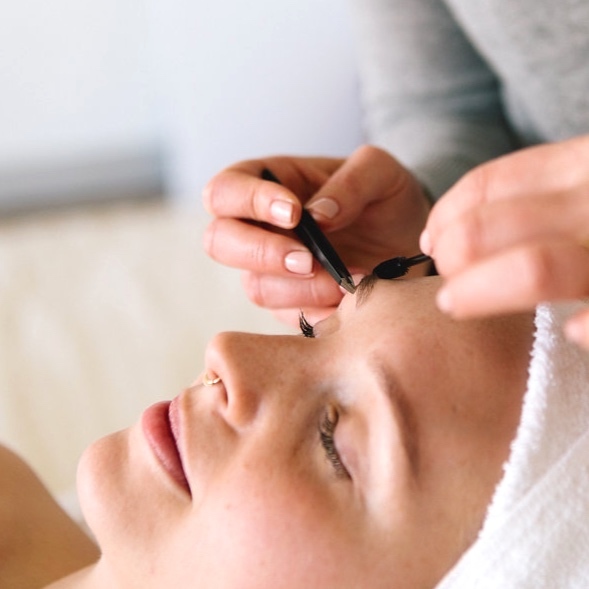 Simply book an facial waxing appointment with us and say hello to smooth and fuzz-free skin.